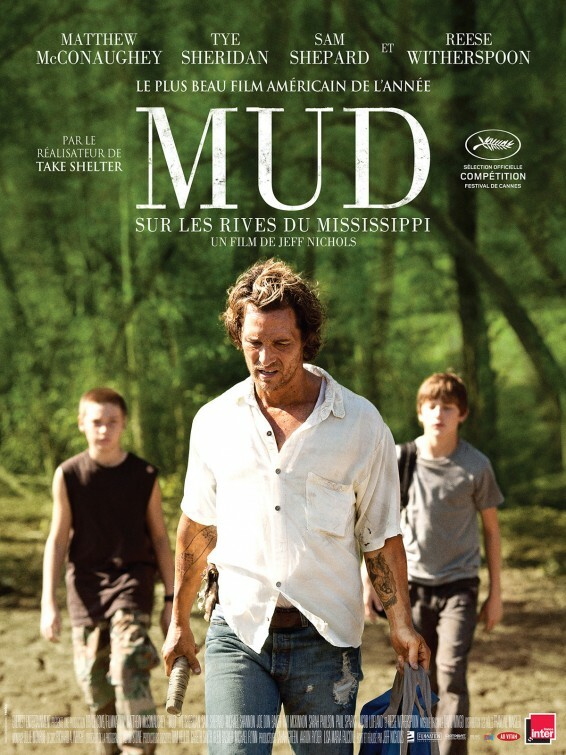 A beguiling cross between The Go-Between, Stand By Me and Huckleberry Finn, Jeff Nichols’ third feature, Mud, is simple and multi-layered at the same time; it’s a mature, thoughtful work, full of mystery, (non-frustrating) ambiguity, and terrific performances. It’s also got a fabulous milieu – riverside living in rustic Arkansas in the modern day. In this somewhat fantastic (and beautifully shot) world, two boys, Ellis (Tye Sheridan) and Neckbone (Jacob Lofland) encounter, on an adventurous visit to one of the river’s many islands, an itinerant drifter (Matthew McConaughey) who goes by the name of Mud and is living – at least currently – in a small motorboat that has been deposited high in the treetops by a flood. Drawn to his intriguing tale, the boys begin to help Mud out, and in doing so, have a life-changing season. (What season it is is never specified, and obviously Arkansas is a hot place, but, for the sake of its long cinematic ancestry, I like to think of the action taking place during the summer). Themes of honesty and trust, love and betrayal are all well served here, and, although this is an original screenplay by Nichols, it feels like it could have been based on a novel – it’s got that level of emotional and thematic meat, and its many scenes, characters, locations and memorable lines trust that they are all going to add up to something substantial, which they do. There are great, smaller roles for Sam Shepard, Sarah Paulson, Joe Don Baker, Ray McKinnon, Paul Sparks (in a very different role from his Boardwalk Empire character Mickey Doyle), Reese Witherspoon and, in his third film with Nichols, Michael Shannon, playing against type as a really nice, well-centered and jovial fellow rather than a weird spooky creep. 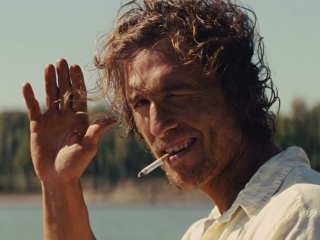 McConaughey is perfectly cast as Mud, bringing all his southern soulfulness and undeniable charisma to a slippery, tricky character with customary ease (if anything, his extraordinary musculature is the only hinderance to his performance: Mud is unlikely to have spent much time at the gym). 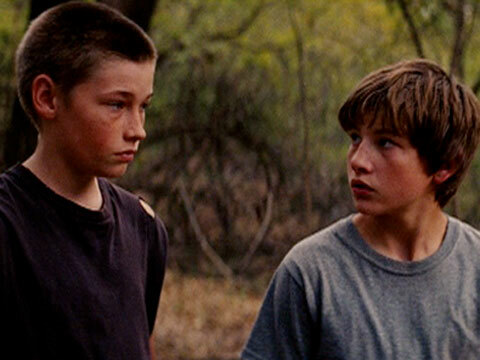 But the film lives or dies on the strength of the two boys, and it very much lives: both Lofland (in his very first role, and an almost dead ringer for River Phoenix in Stand By Me) and Sheridan (The Tree of Life) are excellent. Mud is a dense, exciting and thoughtful picture; it could have been shorter (it’s two hours and fifteen minutes), but then, Nichols will only make it once: this is what he wanted to show, and he’s a filmmaker who we can trust to have our best interests at heart. Recommended.